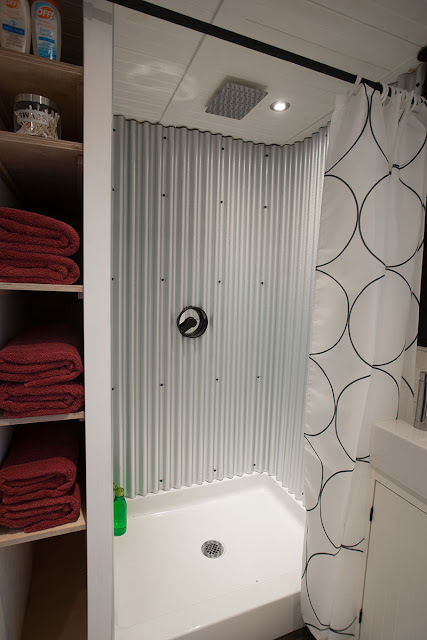 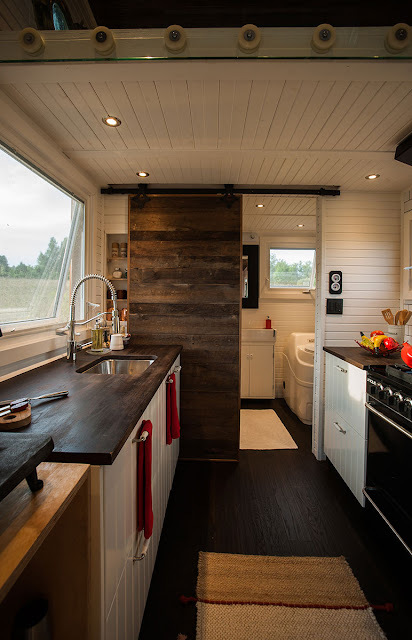 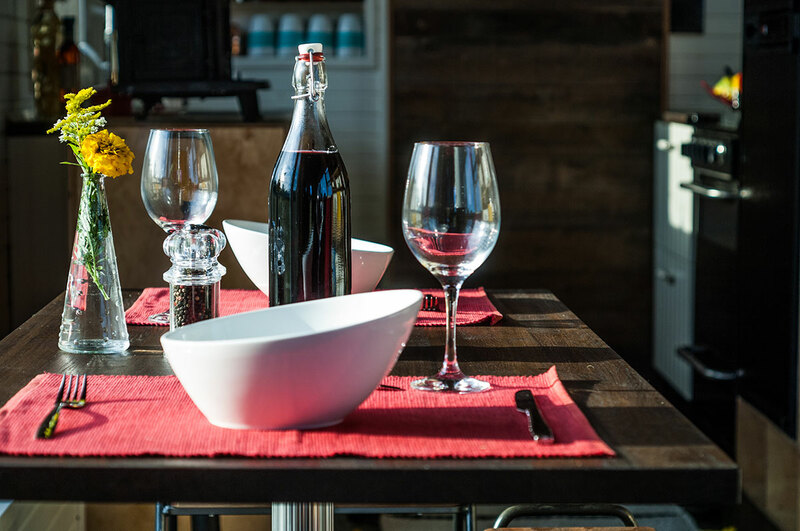 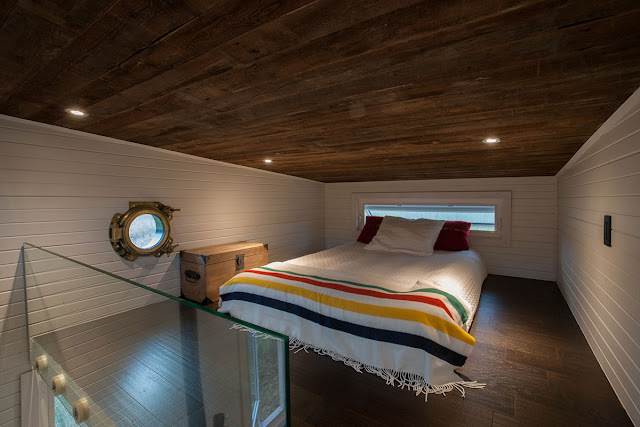 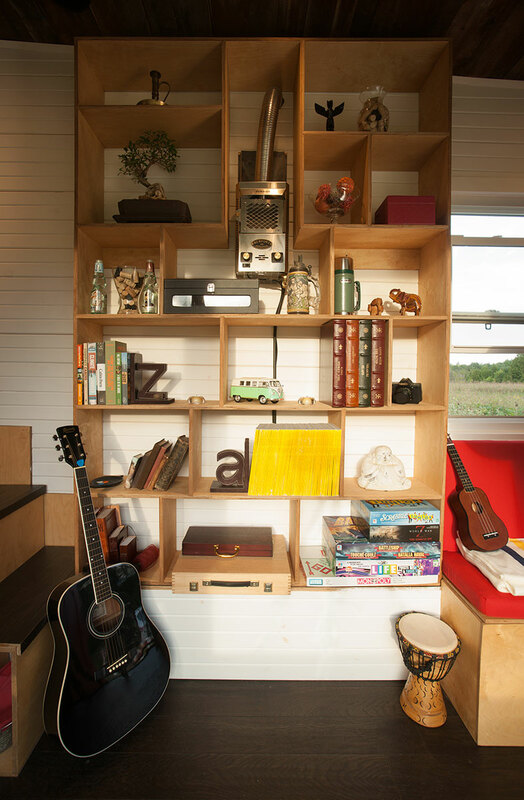 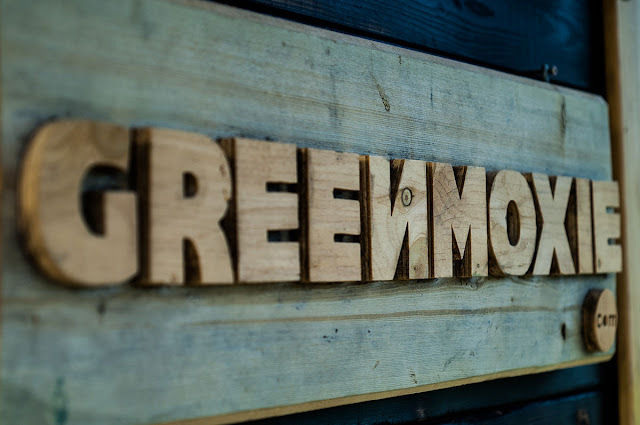 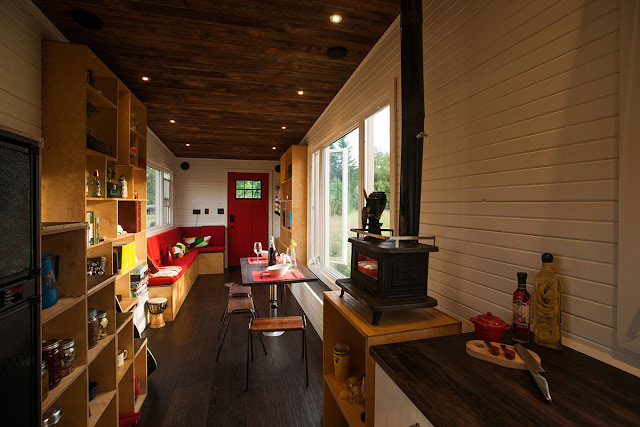 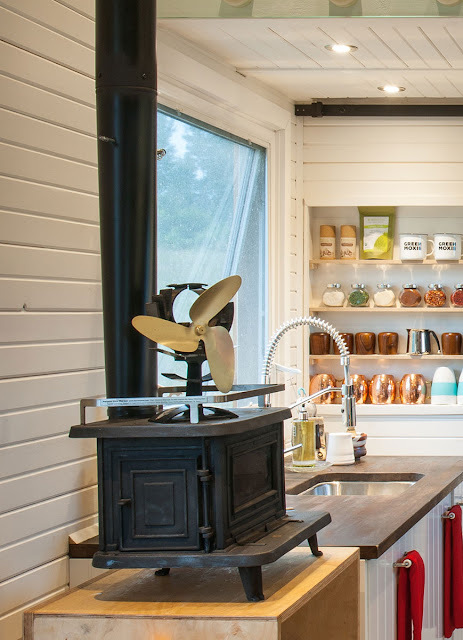 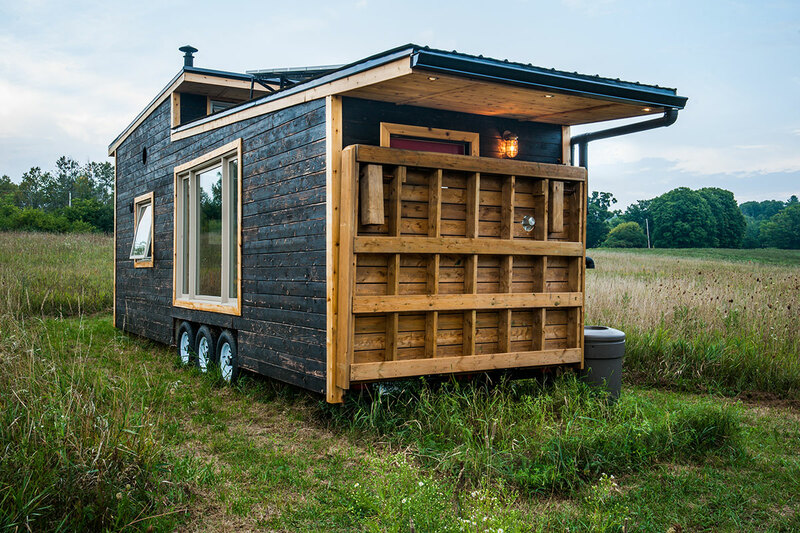 The lifestyle blog, Greenmoxie, has made their own tiny house and it is a stunner! 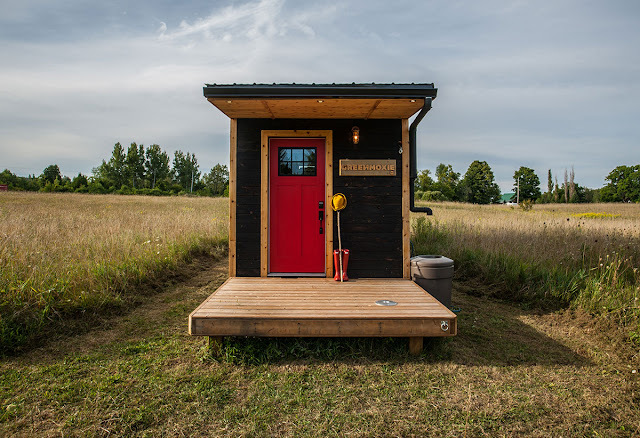 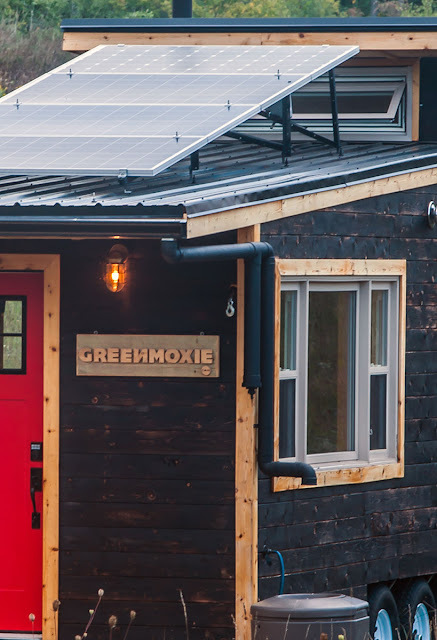 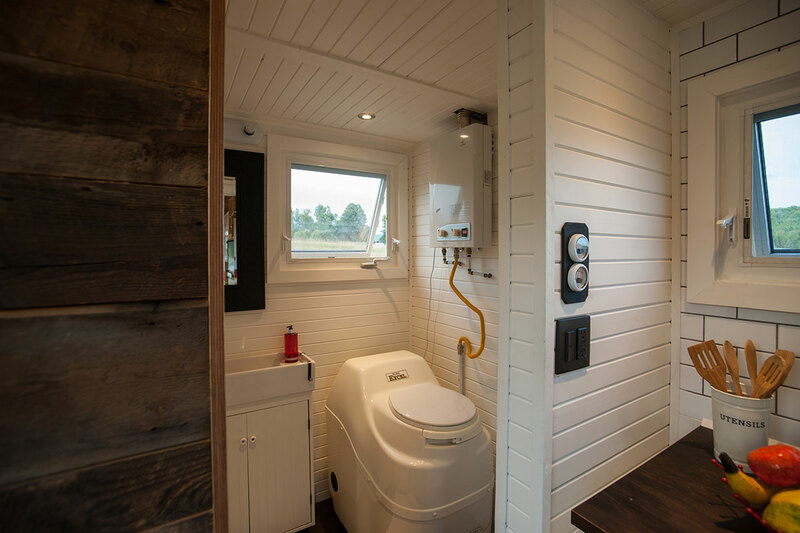 Named after the company and part of their new initiative, The Greenmoxie Tiny House Project, the home is designed as a sustainable shelter with a beautiful design. 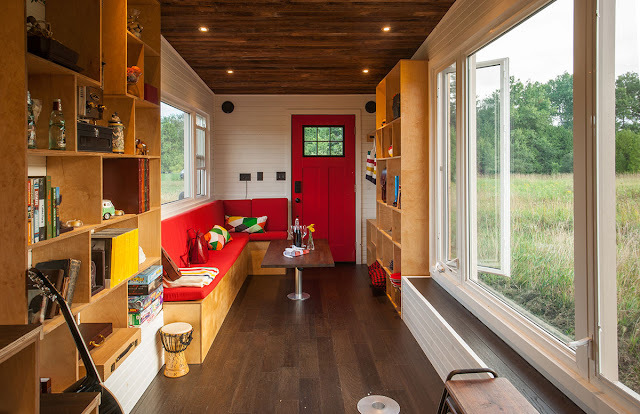 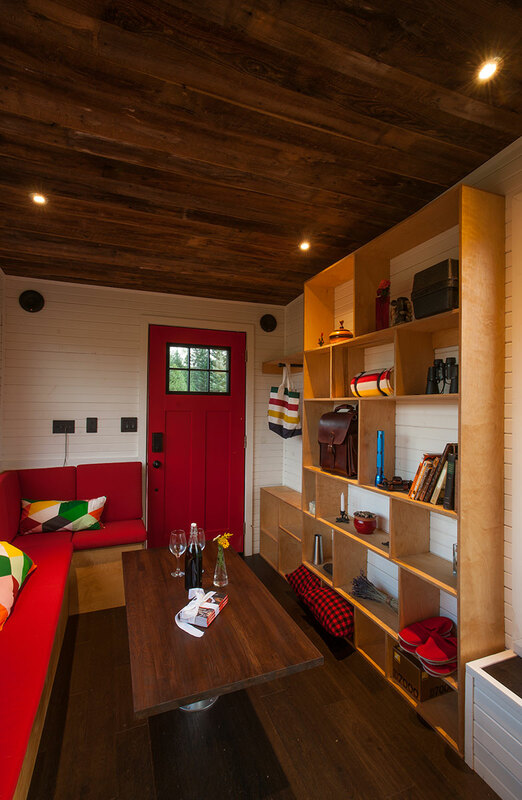 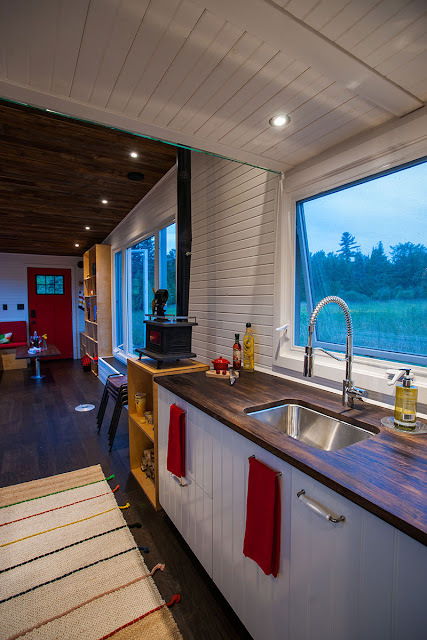 The 340 sq ft home is designed by David Shephard and built by Ian Fotheringham in Ontario, Canada. 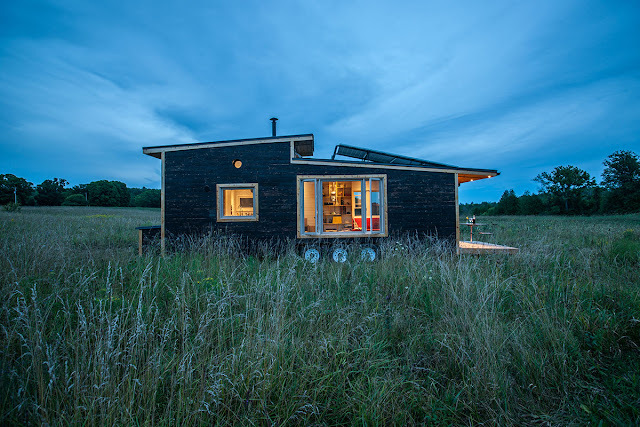 The home is completely off-grid ready and was designed to be as environmentally-friendly as possible. 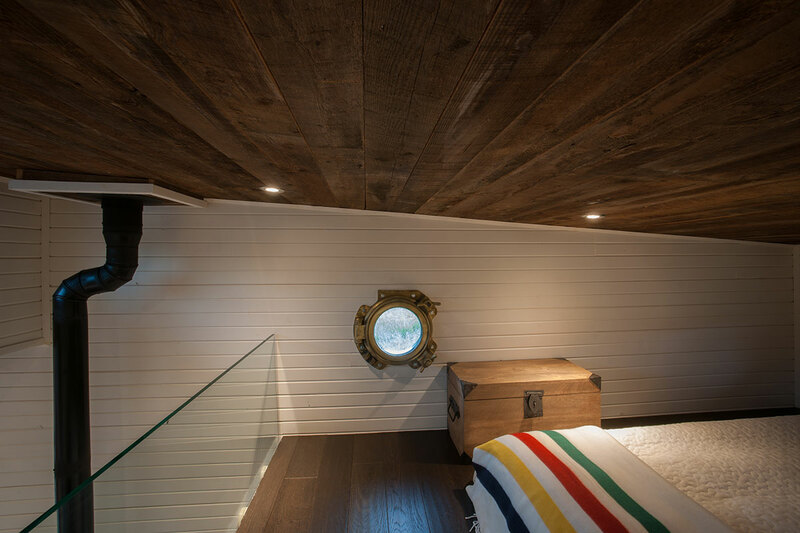 The interior of the home features v-match pine with reclaimed barn wood ceilings and oak flooring throughout the space. The home's appliance list includes a24" propane range, a DC powered range vent, and an Atwood helium propane fridge. 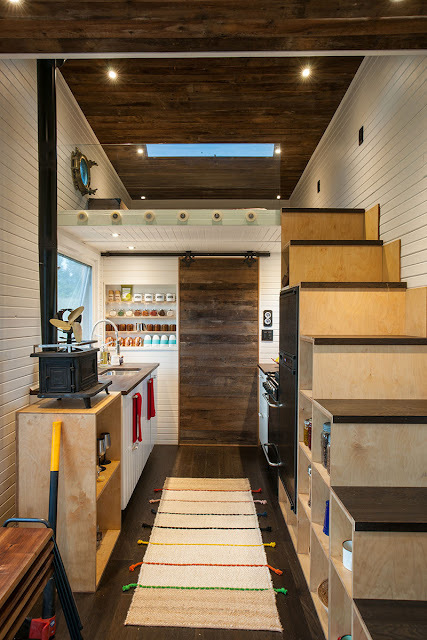 There's also a front deck that folds up against the home as needed! 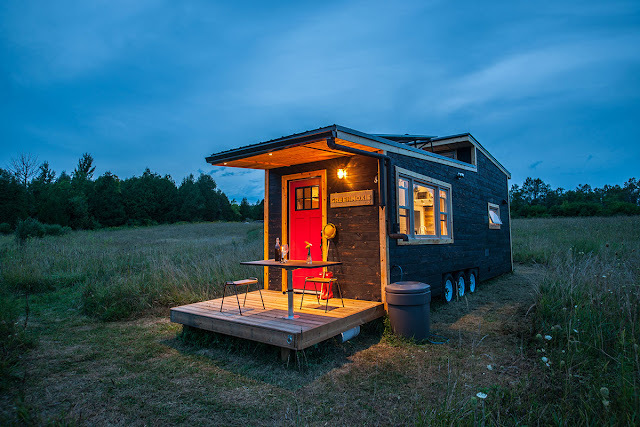 The home is available for sale starting at $65,000 USD. 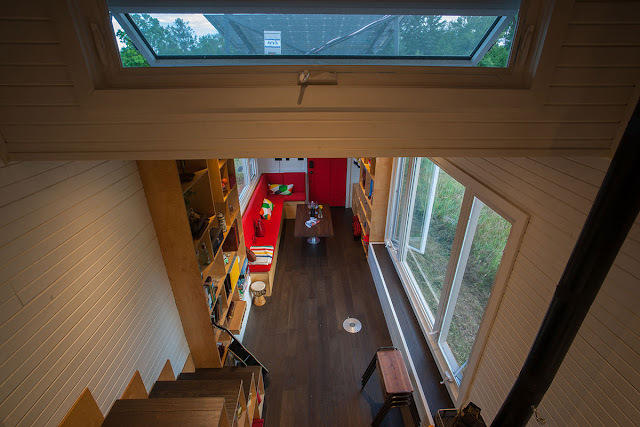 More info and details about the home here.